Motto: Don't just watch it, make it! UAF Film Club presents ThawOut Film Fest 2019! When? It will take place in the Hess Rec Center on the UAF campus - Sunday, April 14 @ 6pm. The Thaw Out Film Fest is an annual short film festival for works 15 minutes or less. It is open to all filmmakers high school and up, local to international! On the day of the festival there will be prizes and popcorn! All accepted films will be screened to an amazing audience along with a short director Q&A. If you have any questions, please contact us at the email below. 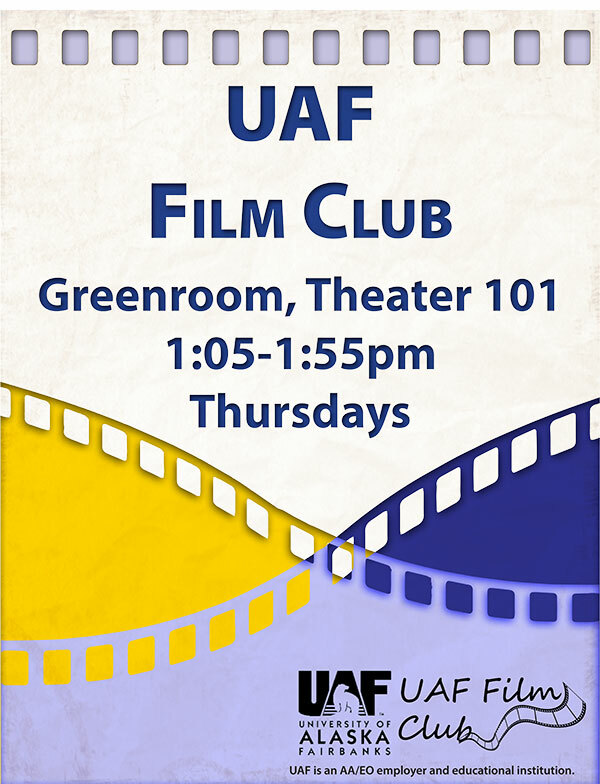 UAF Film Club Festival - offered every spring!